It is not only Palestinian terrorist killers who are praised as heroes by Fatah, the party headed by Palestinian Authority Chairman Mahmoud Abbas. 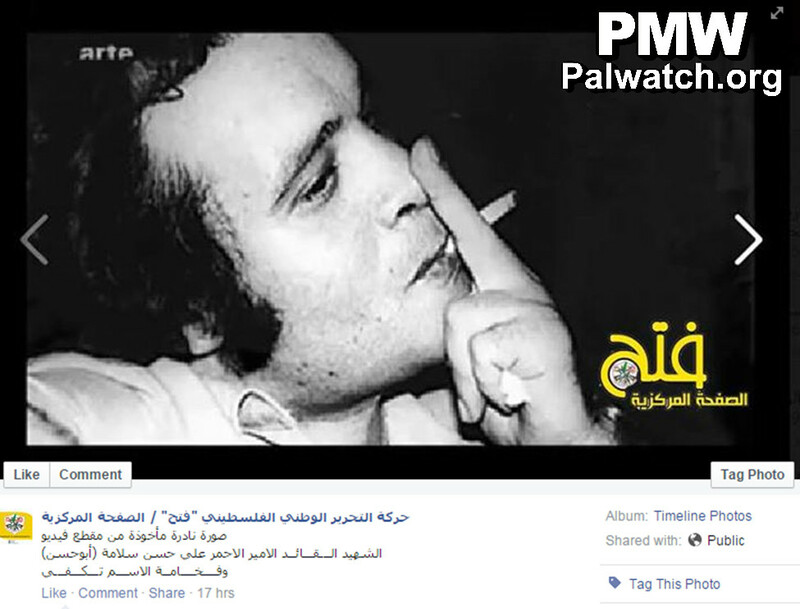 Fatah recently posted on its official Facebook page a tribute to the Japanese terrorists who participated in a terror attack in Israel in 1972 in which 24 people were killed. On May 30, 1972, three members of the Japanese Red Army, Takeshi Okudaira, Yasuyuki Yasuda and Kozo Okamoto, who had been recruited by the Palestinian terror organization Popular Front for the Liberation of Palestine (PFLP), attacked passengers at Israel’s Lod (Tel Aviv) airport, killing 8 Israelis and 16 foreign tourists and wounding over 70. Okudaira and Yasuda were killed during the attack, while Okamoto was arrested. “From the chronicles of the revolution: The Savoy Hotel after its destruction by Fatah’s heroic self-sacrificing fighters (Fedayeen) - March 6, 1975. The multi-story Savoy Hotel became a ruin, a ruin. 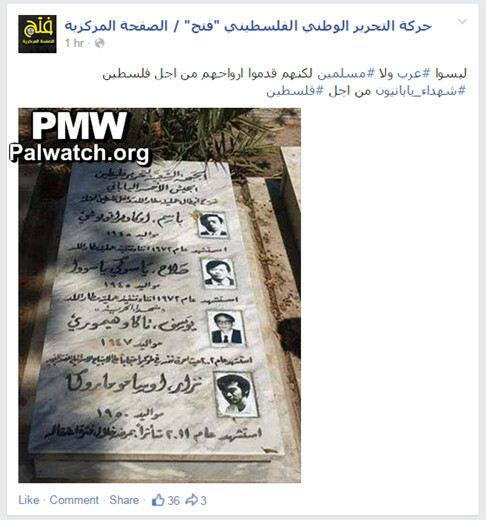 Recently, PMW documented that Fatah and its youth division Shabiba released statements praising "Martyrs" (Shahids) for "watering the land of Palestine with their pure blood." 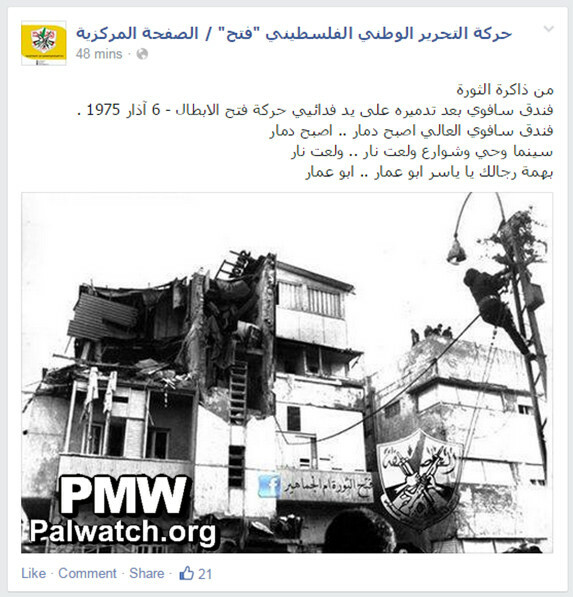 This PMW report also showed that Fatah in recent months has honored seven different terrorists who between them have killed 63 people. Takao Himori was a supporter of the PA who set himself on fire and burned to death in Tokyo, Japan, in 2002, to protest Israeli policy. Osamu Maruoka was one of the leaders of the Japanese Red Army. He was arrested in Japan in 1987, and died while serving a life sentence in prison in 2011.